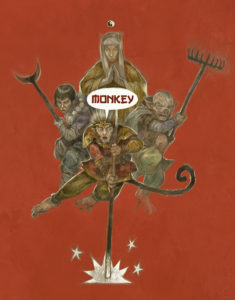 Monkey Morning Day 6 of Kickstarter | Monkey Magic! 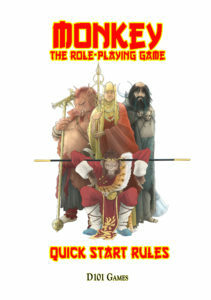 As I had expected we are but 4 (average pledges) away from Stretch Goal 2 (Defenders of the Dragon Empire being achieved). About £84 at time of writing, which is about four average backers. Once that’s out of the way its the book of Adventures , The Ministry of Thunder, and a series of mini-goals (or Mini-Monkeys). before we get there. I shall reveal more when I’ve got breakfast and the school run out of the way (so about 11 GMT time).